Most people are well aware of the connection between nutritional deficiencies and physical illness. However, the role of nutrients in keeping you fit and mentally healthy is not much talked about. 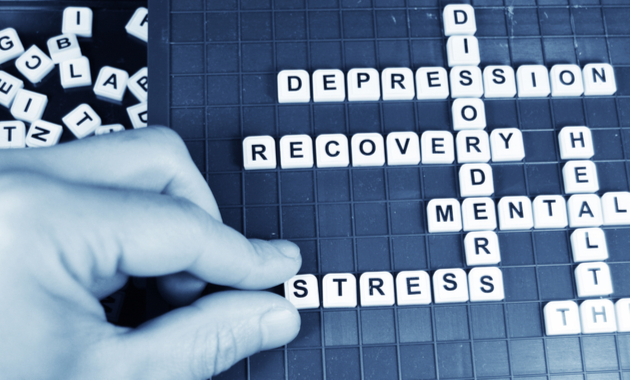 Mental disorders such as anxiety, stress, and depression. The dietary intake of nutrients such as vitamins, minerals, and omega-3 fatty acids is important to maintain mental health. According to a study published in the Indian Journal of Psychiatry, the diet of patients suffering from mental disorders lacks essential nutrients. And daily supplementation of these vital nutrients acts as an effective way to reduce symptoms of the mental illness. Here’s more on the role of common vitamins and its effect on the overall mental health. Vitamin D, commonly known as the sunshine vitamin, plays a crucial role in the absorption of calcium, which helps to keep the bones strong and healthy. However, this vitamin also helps to ease symptoms of depression. Low levels of Vitamin D can be one of the risk factors for depression. The use of vitamin D3 supplements in patients with depression may have an antidepressant effect. Vitamin D receptors are present in the brain tissue which helps in regulating several metabolic pathways. The role of Vitamin D and mood disorders such as anxiety and depression is well studied. Several studies have reported that Vitamin D supplements showed signs of improvement in the symptoms of depression in overweight patients. It also improved mood in healthy people during the winter season and symptoms of depression in people with seasonal affective disorders (SAD). Commonly known as folate (folic acid), Vitamin B9 is essential for optimal brain and nerve function. The lack of this vitamin not only puts you at risk of irritability and mood swings but can lead to severe birth defects (neural birth defects) in pregnant women. It is not clear yet whether folate deficiency causes depression or poor nutrition, as a symptom of depression, causes folate deficiency. However, it is shown that the supplementation of folate improves the symptoms of depression. It is been seen that people with depression have around 25% low folate levels in the blood as compared to healthy individuals. Moreover, folate deficiency is one of the key factors that lead to a poor outcome of antidepressant therapy. Supplementation of around 500 micrograms of folic acid improved the effectiveness of antidepressant medication. Clinical trials have suggested that Vitamin B12 can delay the onset of the symptoms of dementia if it the supplements are taken well before the onset of the first symptoms. It is shown that supplementation of Vitamin B12 enhances cerebral and cognitive functions in elderly people. Moreover, adolescents who have a borderline level of vitamin B12 deficiency can develop signs of cognitive impairment, which is a sign of a mental health problem. Several randomized controlled trials have reported that patients, when treated with 0.4 mg of vitamin B12 per day, can exhibit decreased depression symptoms. However, there is no conclusive evidence on the same and large control studies have to be carried out. But the studies which show that vitamin B12 deficiency can lead to mood changes and impair cognitive function can’t be underestimated. 7 Myths About Depression That Are Simply Not True! Rao TS, Asha MR, Ramesh BN, Rao KS. Understanding nutrition, depression, and mental illnesses. Indian J Psychiatry. 2008 Apr;50(2):77-82. Huang JY, Arnold D, Qiu CF, Miller RS, Williams MA, Enquobahrie DA. Association of serum vitamin D with symptoms of depression and anxiety in early pregnancy. J Womens Health (Larchmt). 2014 Jul;23(7):588-95. Lakhan SE, Vieira KF. Nutritional therapies for mental disorders. Nutr J. 2008 Jan 21;7:2. 6 Healthy Habits For A Healthier You This 2017! Here Is Why Peppermint Oil Is So Good For You! ← Arthritis: Are You At Risk?